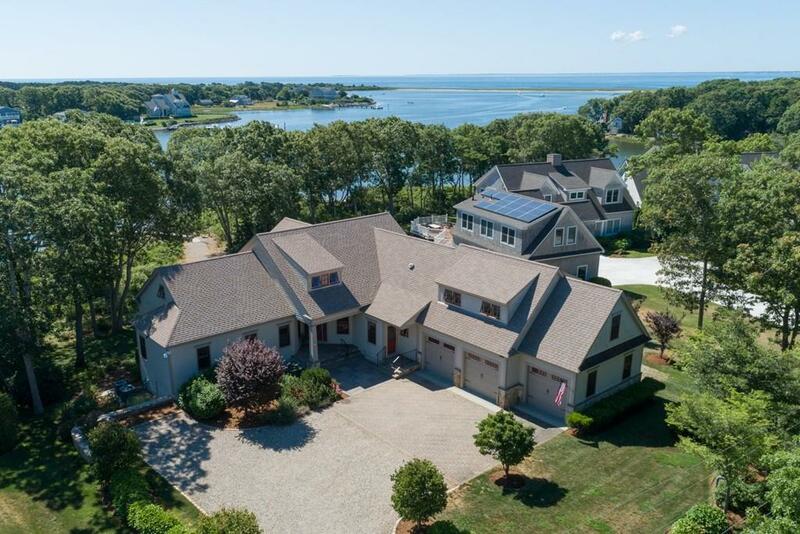 Magnificent residence with 75 deep water dock and breathtaking views of the stunning Eel River, Vineyard Sound and beyond! 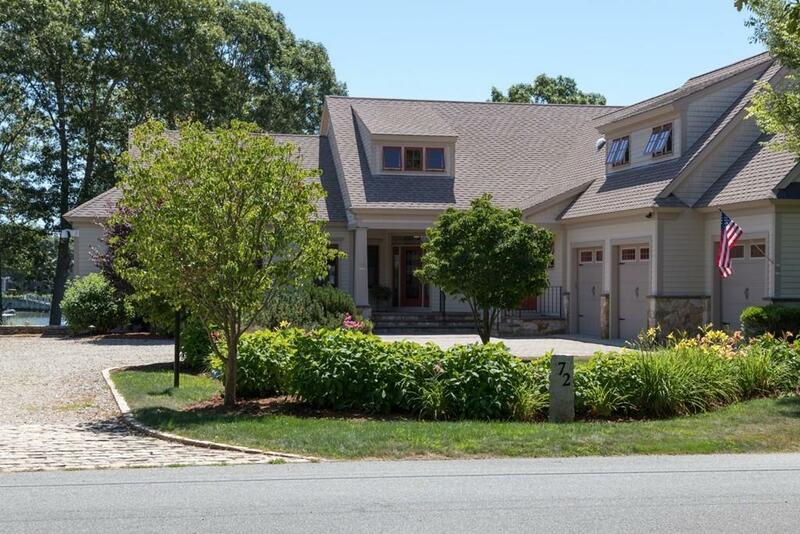 This contemporary Cape, custom built in 2008 with endless high-end details, has water views from virtually every room. The open kitchen, dining, living room leads out to the waterside wrap around deck. Three first floor bedrooms, two full and one half baths, and laundry complete the ease of first-floor living. The second floor comprises a guest suite and a large fifth bedroom or media room, including its own waterside balcony. 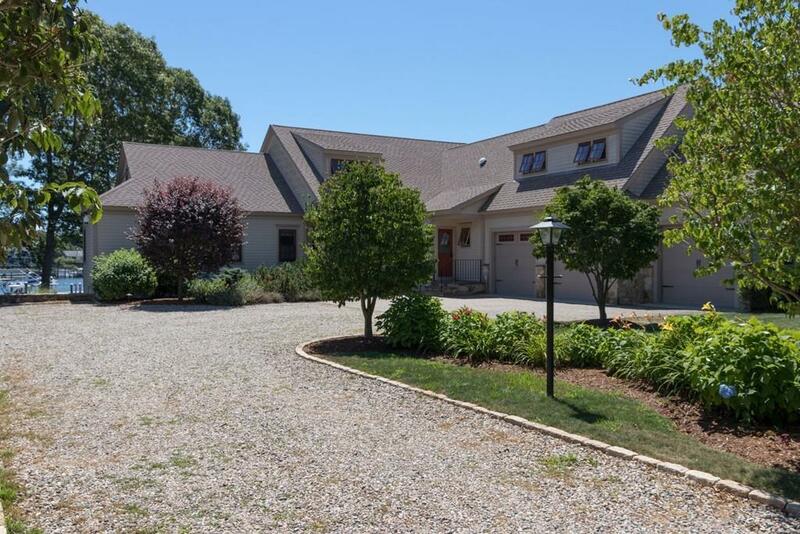 The three-car heated garage and large walk out lower level provide ample storage, along with the exterior shed. This home has a low maintenance exterior providing peace of mind. Landscaped to perfection with a fire fit, patio and oversized outdoor shower. 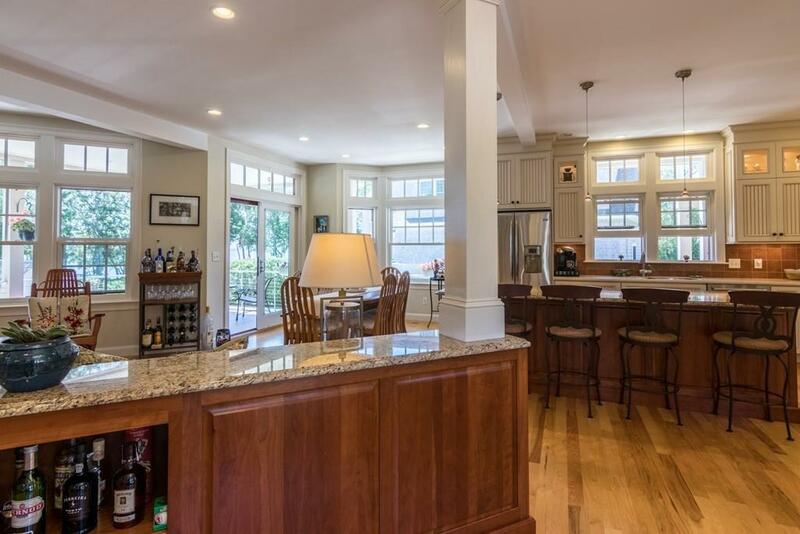 This home accommodates all of your summer entertaining needs!